All Information You Should Know About AdsPly. How AdsPly works? Many people still have doubts about AdsPly functioning. There are several different questions: is AdsPlya paid service? How will I be eligible to win? Is it a complicated interface to use? To help in this issue and to share more information about this powerful tool (SMMA) I wrote this article. So, I’ll start it explaining the mechanism: once you’ve understood, we’ll move on. AdsPly is an online platform, which have its own technology, known as SMMA, or Social Media Marketing Aggregator. This tool was developed to help people to gain more exposure on the powerful social networking sites such as Facebook, Twitter, Instagram and YouTube, and others. AdsPly aims to increase the number of followers, likes, shares, subscribers, views, offering its members greater statement and credibility over the World Wide Web. Note, however, that AdsPly is NOT a pyramid scam or an internet fraud – such as many you can find online. The company has been on the labour market for over two years. Besides that, you will have total access to the platform completely free of charge (that’s right: you will not pay!). The AdsPly app will pay for all features using its own currency, known as Adscoin. All activities performed within the app you will earn Adscoin profits that can be used in the future, if you want to. You can use this currency to increase your social networking sites and profiles. Acting this way you can guarantee likes and shares. The process to earn AdsPly payable credits is easy: you have to access your online profile and the requested activities have to be accomplishing (such as liking pages, sharing content and other tasks). The more activities you accomplish, more Adscoin you can earn! There is no limit on how much you can earn Adscoin inside the platform. The mechanism is 100% efficient – if you use it correctly. It is absolutely necessary that you understand exactly how AdsPly works. Many people have propensity to make mistakes when they try to access the platform for the first time without reading the main instructions. But don’t worry about that! 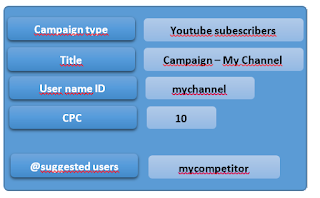 This article will teach you how to configure an AdsPly campaign in the right way. This way you will be able to pump up your posts without any issues. But first I need to enlighten some topics – AdsPly is not, under any condition, a malware. You don´t have to worry about nothing! Thousands of people around the world use the AdsPly app for over two years. Furthermore, in a six months operation, in the end of the first quarter of 2015, the app reached two million registered users. Let’s learn how to properly operate the AdsPly app. The first step is to register your app profile. Use your e-mail address and a password or you can log with your Facebook account. You should access your e-mail account and click the link “activate account” to complete this step. Finally, you should login to your account. At the time of registration you won’t have any Adscoin ready to use. To earn Adscoin you need to start performing the activities that is requested in the main page: you’ll have an array of options to choose from. As soon as you earn a considerable amount of Adscoin you can start using it to improve your social network posts by entering your activity request into the platform. To accomplish that task you need to click the Add Page/ Site option. A screen similar to the one displayed below will be available. 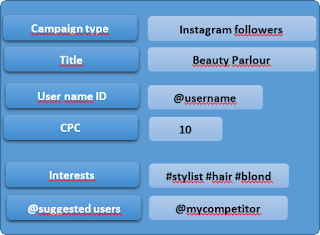 As an example: in the “Campaign Type” you should add the social network of your preference for this campaign and the type of campaign you would like to run. In the case above the client is looking for “Facebook Likes” – that means he wants people to like his Facebook Fanpage. The “Title” heading is merely a campaign identification tag, so you can keep track of your campaigns and results. The “URL” heading is where you will add the page address you want as object of your campaign – in this example case, is the Facebook Fanpage. The “CPC” (Cost per Click) is a key here you detail how many Adscoin you want to pay for each accomplishment in your campaign. This is the value that will be credited into the virtual wallet of all those people who subscribe to your campaign (the people responsible for sharing, liking, commenting and such). As you subscribe to other campaigns in your main panel to earn your Adscoin, other will registered users to earn their currency by subscribing to yours. And all that is done entirely through the AdsPly currency, the Adscoin. You can also conquer popularity points by subscribing to other campaigns on your main panel. If more active you are in accomplishing the tasks you subscribe to, higher will be your popularity. This means you’ll be sought after by more users – and will raise the CPC offers you receive in your main panel. The role model CPC is entirely linked to the type of campaign you’re competing. If you have more paying higher for their subscriptions, longer it will take for you to see results in your campaigns. Nevertheless if you’re looking for speed, you will have pay more. Here is another example: hundreds of registered AdsPly users are currently running for a Facebook Fanpage Like campaigns in our platform. This means that this particular type of campaign is in high demand – and, therefore, is highly competitive. So, only the higher CPC will see the best results. On the other hand, let’s imagine that lots of users are currently running for a YouTube follower campaign. This would reflect on a less competition brand and because of that the result will be a lower CPC level. It is necessary to know that the AdsPly app works as an independent marketplace. Supply and demand are constantly flowing. The advice is to set a base value for your CPC – the suggestion is to start with 10 Adscoin base value – the value have to be specific to your personal goals. You may have interest about the “Country” caption. In this option you have to choose the countries you want to reach in your campaign or you can set a worldwide research. The recommendation is to study the market and adapt your campaign if needed. The “Interests” topic is interesting too. It is the best place to add #hashtags which have to represent your business. Doing this, the app will be allowed to select people that have the same interest or the same objective in your product. Last, but not least, we have the “Suggested URL” topic. 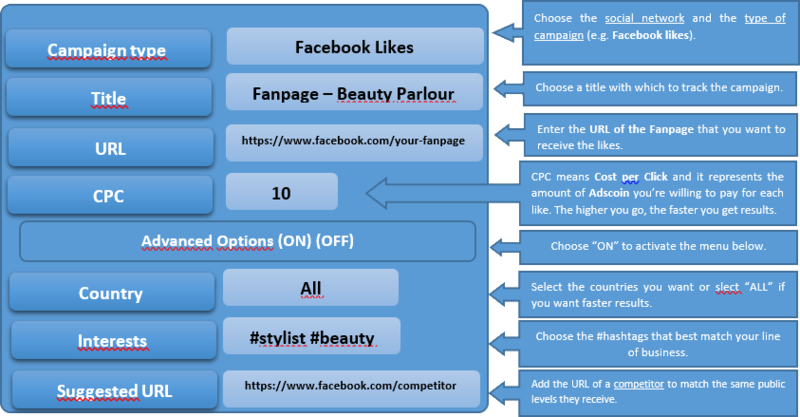 Here you will have to insert the address of the rival Fanpages that you wish to attract for your own campaign. It´s time for another practical example to help illustrate. Let´s say that you own a car dealership and you decide to create a Facebook Fanpage for your business. In the beginning, you probably won’t have many likes. So to conquer more access to your page on Facebook, you have to subscribe your AdsPly app account and create a campaign to increase those like numbers up. In your campaign creation menu you can add the rival Fanpage address under the “Suggested URL” option. If you follow these steps you can reach his entire target audience to your campaign. It is fundamental to pay attention in this particular example because we are talking about Facebook Fanpage Likes. The AdsPly platform offers, however, dozens of other campaign options to choose from. The essential steps to set those campaigns up are the same as the ones listed in this tutorial. To save some time, we won’t be able to each every possible AdsPly app campaigns individually unfortunately. Now, other two very popular social media need to be explained with exclusivity: Instagram and YouTube media. Once you’ve been through these tutorials, you will be able to set up any campaign you want for other social media websites available on AdsPly. Reminder: About your subscription tasks on your main panel, regardless of which task you are subscribed to, it is crucial that you wait for the automatic closing of the tab/ window by the system. This is very important because, if you disconnect for any reason, the system will understand you failed to perform the task – even if you have completed it. The system will stop the Adscoin credits to your virtual wallet. So, even if it takes longer, after completing your task (sharing, subscribing, liking) you should await the system’s automatic disconnect. Recommendation: The most important suggestion is that you don’t restrict your campaign subscriptions to a single social media site (such as Facebook, for instance). If you choose to perform tasks in a single platform you are consciously giving up on Adscoin you could earn in all other platforms. This will also mean your popularity points will be lower and, therefore, opportunities to subscribe to higher CPC campaigns will consequently decrease. Remember: AdsPly is an intelligent algorithm operating on popularity points and on CPC competitiveness – use it to your advantage! The first step to be an affiliate is to access your profile and click the “Become an Affiliate” option. This will direct you to a page where you can purchase an Adscoin package. The company offers many methods of payment to choose. By purchasing a package, however, you forfeit the expert support that would assist you in building your online business. If you think you can profit from expert advice that will guarantee a successful online business, you should opt for the second affiliation offer. It is needed to look after an affiliate member in our special panel and this person has to be ready to advise and assist you in this new career. Once you get in touch with the affiliate member that has more expertise in your line of business – and therefore has more crucial input to offer – this person will forward you an exclusive registration link. This link will allow you to register as a team member of this affiliate expert – and will put you in direct contact with someone that has the experience to make your business a success. The recommendation is to use both resources and become an affiliate subscriber by using both options. This way you guarantee expert advice in one front and a special Adscoin package on the other. With the affiliate Adscoin package you can not only finance countless campaigns in countless social media outlets, but you can also purchase all the special products and services available on the AdsPly online store, which are exclusive for Adscoin package holders. All this activities will also offer you a special power inside the platform. Among the products and services you will find art clothes, accessories, nutrition supplements and much more. · Silver: U$ 150.00 (One hundred and fifty Dollars US). This package comprises a total of 75,000 (Seventy-five thousand) Adscoin that can be used in the online store (nutrition supplements, clothes, cosmetics, electronics), or to finance your social media campaigns. · Gold: U$ 300.00 (Three hundred Dollars US). This package comprises 150,000 (One hundred and fifty thousand) Adscoin that can be used in the online store (nutrition supplements, clothes, cosmetics, electronics), or to finance your social media campaigns. · Platinum: U$ 800.00 (Eight hundred Dollars US). This package comprises 300,000 (Three hundred thousand) Adscoin that can be used in the online store (nutrition supplements, clothes, cosmetics, electronics), or to finance your social media campaigns. · Royal: U$ 1.600 (One Thousand, six hundred Dollars US). This package comprises 800,000 (Eight hundred thousand) Adscoin that can be used in the online store (nutrition supplements, clothes, cosmetics, electronics), or to finance your social media campaigns. The packages listed above are pre-requisites for a user to become an affiliate member of the platform. When purchasing any one of the packages listed an affiliate member you may use the Adscoin to purchase products and services in the online store or to finance his or her social media campaigns. If, however, this affiliate member is looking for more than the basic offers – and wants a chance to receive a weekly pay – it should use part of those Adscoin to acquire a VIP member subscription. To become a VIP member you actually have to sign a virtual contract with AdsPly app and then you will be allowed to the perk of working from the comfort of your own home just to conduct a lot of tasks that your clients will require – and what those clients want are social media campaigns. The client will pay a weekly payment to the VIP member for the services rendered. The service will be managing the social media campaigns for the client. To value the payment, the VIP member should use the Adscoin rebuy option on his profile, transforming that into real money. Please note that any Adscoin purchased or received is only subject to rebuy option for a period of thirty days from the moment they were received. But first, the Adscoin rebuy options have to be explained. It is a fact that the rebuy option tends to raise a series of doubts. The basic contract states that the VIP member will commit to performing a series of daily mandatory tasks in exchange for a weekly pay. AdsPly will commit it to rebuying a certain amount of Adscoin (equivalent to that weekly pay that comprises a fixed amount) and reselling that amount to major clients. The AdsPly app is actually working as a currency exchange office between the major client (companies and other bulk direct clients of AdsPly) and the VIP member – guaranteeing an indirect contract that insures no employee x employer rights or responsibilities, but also guarantees that all participants can enjoy large profits. Summing up, the client pays for greater exposure, and receives it. The VIP member works from the comfort of their home and is awarded without prepaid taxes or fees. And the AdsPly team insures their affiliates and clients have excellent service. It’s a win – win – win situation. AdsPly biggest secret is to be focused on the growth of a network of individuals and companies operating inside the SMMA mechanism and, consequently, offering greater results to all the parts involved. · VIP membership for the Gold subscription: It allows for variable income with a minimum rate of approximately USD 25.00 (Twenty-five Dollars US) per week, for a six month contract. · VIP membership for the Platinum subscription: It allows for variable income with a minimum rate of approximately USD 50.00 (Fifty Dollars US) per week, for a twelve month contract. · VIP membership for the Royal subscription: It allows for variable income with a minimum rate of approximately USD 125.00 (One hundred and twenty-five Dollars US) per week, for a twelve month contract.